Milk is one of the major sources of calcium and protein. Milk contains two types of protein: whey and casein protein (these terms are popular in the bodybuilding industry), about 80% protein is of casein type. 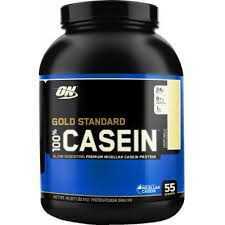 In casein protein, there are of two types: alpha-casein and beta-casein. Beta-casein is found in two forms: A1 and A2. These forms are called A1 and A2 milk. A1 is a type of milk is given by A1 types of cows and A2 milk by A2 variety of cows. If we talk about the consumption of the majority of milk then in large quantity A1 milk is consumed not in India in fact in the whole part of the world. Consumption of A2 type of milk is low. A1 milk comes from the Foreign Breed Cow or from the mixed-race cow like Australia, the United States, and Northern Europe. A1 is a genetic mutation that results in the production of the compound BCM7 assumed to be causing the development of unwanted health conditions and illnesses among consumers. A2 milk comes from the ancient breed cow or the breed of a cow running from a long time or from a native cow like Jersey, Charolais, Guernsey, and Limousin. Milk which is produced by other mammals like human, goat, camel, and sheep is similar to A2 dairy because of the presence of the proline.